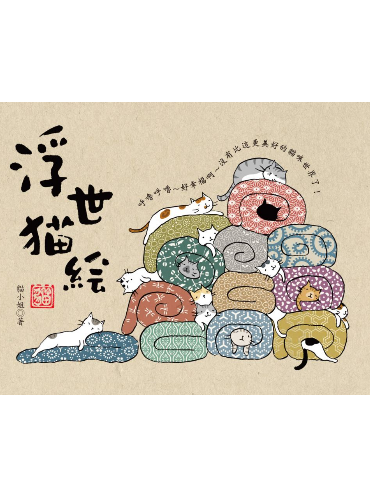 Ms. Cat’s latest work of picture book purr-fection is a pictorial narrative of the feline world in the style of medieval Japanese ukiyo-e, the colored woodblock prints of everyday life that are famous throughout the world. Follow our cat characters through all four seasons – spring, summer, autumn, winter – as they live, work, learn, and play. The aesthetic brilliance of this book’s presentation makes it a delight for young people and adults alike. Simple, strong lines and bright colors invoke an ethereal world, in which readers can immediately lose themselves.